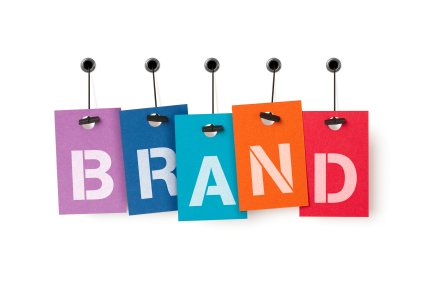 Branding is important for any business but particularly for law firms, the marketing manager of a New Zealand practice whose global brand has been ranked as one of the best in the world says. DLA Piper was ranked eighth in the world in the latest BTI Brand Elite 2015 study – which surveyed general counsel about their perceptions of the brands of 460 firms worldwide – moving up from 21st in 2014. BTI president Michael Rynowecer said these “best of the best” make deliberate decisions about branding that impact the way they are seen by existing and potential clients. An example he gave of successful branding efforts on DLA Piper's part included a webinar and blog on global privacy and data protection which was promoted via email, on social media, and on the firm’s website. The ranking comes hot on the heels of the Acritas Global Elite Law Firm Brand Index, in which the firm’s brand is ranked even higher – moving from fifth on the list in 2013 to fourth last year. Branding is vital for law firms, according to DLA Piper New Zealand marketing manager Joanna Simon. “Branding is very important for any business but particularly for law firms,” she told NZLawyer. “A powerful philosophy, shared values, a common voice, a differentiating look, consistent actions, a single compelling story - in short, a brand makes everything we do more powerful and effective. Many law firms cannot explain in simple terms what makes them unique, Simon said. “Neither can their people or their clients. But a brand doesn’t develop automatically, she said. A strong brand expresses itself both visually and intellectually, Simon said. Branding is something that has been at the forefront of the focus of DLA Piper New Zealand’s marketing team this year, given the full integration with DLA Piper earlier this year. Simon highlighted that the key for any brand was identifying a point of difference and a set of brand values, and what those values stand for. “Success is achieved by supporting these with a brand narrative and brand messages as well as actions to guide behaviours and guidelines for a consistent visual expression. All marketing collateral and communications must have strong, tailored and consistent messages for all stakeholders including clients, contacts, the market and the media, with communication of the brand sent continually out to target audiences through a range of digital, broadcast, print and face to face channels, Simon said.